Note: In my new book Silent Conversations: A Reader’s Life 1, I draw on the work of writers central to my own work, among them Baudelaire, Levi, Oppen, Celan, Barthes and Paz, and the writer whose poetry and prose I have been translating for fifty years, Yves Bonnefoy, who was 90 in June. To mark this occasion, the Presses universitaires de Strasbourg published Yves Bonnefoy: Poésie et dialogue, edited by Michèle Finck and Patrick Werly earlier in 2013. As my contribution to this book, I adapted and rewrote those sections of Silent Conversations which reveal implicitly or explicitly my indebtedness to Bonnefoy and my gratitude to him for being there, always open to dialogue, always awaiting the possibility of learning something new, like all great teachers. These paragraphs complete associated texts I wrote for the eightieth birthday book, Yves Bonnefoy et L’Europe du XXe siècle [Presses universitaires de Strasbourg, 2003], for the Bonnefoy issue of Les Cahiers de l’Herne [April 2010], and for the Bonnefoy issue of Le Temps qu’il fait [1998, number 11]. Parts of these earlier texts have been published in English in PNR. If a question can be framed at all, it is also possible to answer it. The concept is the original sin of knowledge. a) The practice of translating French (and Russian) poetry, especially Yves Bonnefoy’s, served as cover and mask for my early attempts to experience life as a writer and poet, even as I endured boring day jobs. Translation (beginning with my earliest versions of Hier régnant désert) was an attempt to redeem myself from the academic failure which ensured that I, unlike my college friends, had no future as a professional scholar. Translation was my private poetry workshop. I went to Paris regularly and made friendships; I learned much and discovered who I was; more modestly and accurately, I discovered who I wasn’t. Ever since I came upon YB’s work by chance nearly fifty years ago, I have explored the signs and wonders of French poetry, often encouraged by French poets, in particular YB and three friends then living in London – Claude Royet-Journoud, Anne-Marie Albiach and Michel Couturier – and, after them, Claude Vigée, Edmond Jabès and Michel Deguy. 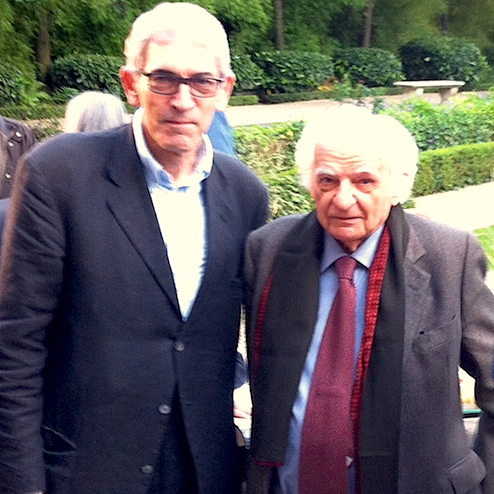 Dossier: Yves Bonnefoy. 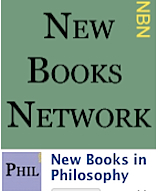 Commentary and translations by Anthony Rudolf, Alan Wall, Hoyt Rogers, Beverley Bie Brahic. Index. b) Fifty years ago, in one of my first conversations with Yves, I asked him a direct question: “who are the greatest nineteenth-century French poets?” Baudelaire, Nerval, Mallarmé and Rimbaud, came the reply. He presented me with his Rimbaud par lui-même on that occasion. 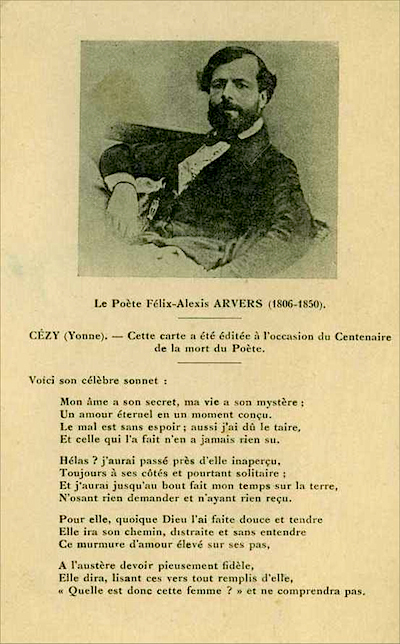 I noted that his list did not contain any of the Romantic poets; he did, however, mention in passing Vigny’s “La Maison du berger”: “a great poem”. I annotated the poem when I was a student at Cambridge a few years earlier, including the famous verses addressed to its dedicatee, a faithfully married Englishwoman, Eva Holmes: “Do not leave me alone with mother Nature, / For I know her too well not to fear her now”, which is a possible echo, doubtless unconscious, of Hermione in Racine’s Andromaque: “I have loved him too much not to hate him now”. When, many years later, I reminded Bonnefoy of our conversation, he said I had “improved” the story, for “Hugo is certainly a great poet, although many poems are damaged by facile effects, and there is more to Vigny than one great poem”. c) Hier régnant désert (1958), L’Improbable (1959) and Rimbaud par lui-même (1961) changed my life nearly fifty years ago, and remain potent, as transformative elements in life always do. When I read them, I knew I must have a life on the page, because the page is where the forms of life speak to us most deeply. L’Improbable contains an essential essay on that singular figure, the poet and leading Sade scholar, Gilbert Lély. On my desk is an inscribed copy of Lély’s Oeuvres poétiques. Folded into it is a carbon copy of a letter I wrote him, mentioning our mutual friend Yves Bonnefoy and asking Lély if he would send me his book of poems. Also folded in are copies of translations I made of Lély poems in the early 1970s, some of which were published by Paul Buck in Curtains. This was a little magazine set single spaced on a typewriter with a fading ribbon but which, in the fine tradition of obsessed editors with a mission, had a greater influence on serious readers than people realise. Paul and I have always had parallel and occasionally overlapping concerns: the mutual passions being French literature, art and cinema. Broadly, while I was exploring Breton and Bonnefoy, Paul was exploring Bataille and Bernard Noel. While I was discovering Balthus (after reading L’Improbable), Paul was discovering Klossowski. While I succumbed to Truffault, he succumbed to Godard. d) YB’s Rimbaud par lui-même is a talismanic book for this reader. It is the most profound exploration of Rimbaud I have read. Indeed, no other book by one poet on another has meant so much to me. Whenever I revisit it, I can, thanks to annotations and marginalia, go straight to the passages that moved me during my first reading back in 1964, for example: “… poetic utterance is at once a hope and a threat”. I have no doubt that I would have underlined some, but not all, of those passages, had I first come to the book today. Conversely, certain unannotated passages strike me with the force of revelation. We move through life as the same person, ever changing, ever unchanging, a theme of my long poem ‘Zigzag’. Art objects, too, like people, change and do not change, literally so in the case of mobiles. Pre-Raphaelite paintings look and therefore are completely different to me, now that I have Paula Rego’s admiration for them hooked into my imaginaire. It is no coincidence that the young Yves Bonnefoy…took the title of his little magazine ‘La Revolution la Nuit’ from a painting by Ernst. e) It is no coincidence that the young Yves Bonnefoy, fresh from his short but deep involvement with Breton and surrealism, took the title of his little magazine La Revolution la Nuit from a painting by Ernst, that connoisseur of oneiric chaos. I have framed and hung on a wall in my apartment a text written by YB and revised by Breton, which was published and signed by twenty Surrealists, protesting the war in Indo-China: “Liberty is a Vietnamese word”. Thinking outside the box, I am reminded of Joseph Cornell, who combined found objects with collage: this “puritan constructivist” (in the phrase of Robert Hughes) took his own possessions and, combining them with objects from the flea market, made haunting reliquaries that enabled him to go on living. I have always been delighted by the long footnote in Qu’est-ce que la littérature? where Sartre, as early as 1947, quotes YB a touch ironically but approvingly, impressed by certain thoughts the young (shortly to be ex-) surrealist expressed: Bonnefoy’s “name seems to predispose him to speak with absolute sincerity”. a) After reading Susan Sontag’s discussion of Goya’s Disasters of War in On the Pain of Others, I made my way carefully through YB’s book on the Black Paintings, Goya, a remarkable speculation and uncharacteristically tentative. I could, if I felt like it, borrow Paula’s old prize copy of Malraux’s famous book on the painter, and thus kill two birds with one stone, having neglected the novelist for years. I suspect, however, that I will have to be satisfied with my ancient memories of La Condition humaine and L’Espoir. When I told YB that Paula admired Victor Hugo, he replied that he was not surprised given her own pantheon in which Goya is prominent, and that one could pursue the comparison between Goya and Hugo. It was quite something to meet the painter Marie Hugo (great-great-granddaughter of Victor Hugo) at the private view of Paula’s print show in Nîmes in 2008. Yves and Lucy Bonnefoy were present, since Paula’s most recent series of prints illlustrated the fable at the heart of Les Planches courbes. Click on an image for an enlargement or for additional details. b) When YB’s collection of essays and tributes, with its resonant and beautiful title, Dans un débris de miroir, in which he speaks of friends and encounters with key figures, arrived in the post, I dropped everything to read the four or five pages on his friend (and my acquaintance) Alexander Aspel and the Poussin painting in Cedar Rapids, which the two men did not see together because Yves’s planned flight there was diverted by the weather to Quad Cities Airport. In a short space, Yves touches on friendship and art, on exile and loss of faith, on American geography and names. 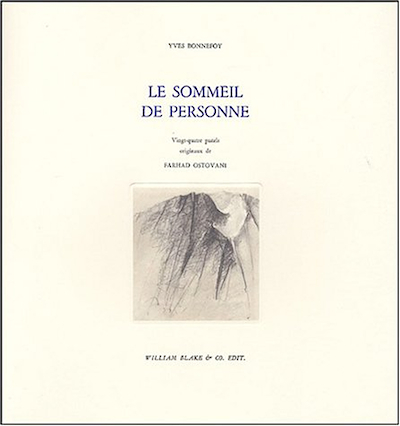 c) Le Sommeil de personne was inspired by Rilke’s self-epitaph, found on his tomb. Graced by Farhad Ostovani’s atmospheric pastel landscapes, this essay is non-fiction prose writing at its densest and most implosive by a writer worrying away at his themes syntactico-rhythmically, like Peguy in Clio, Blanchot in The Writing of the Disaster or Chateaubriand in Mémoires d’Outre-tombe and, like them, pursuing a profound meditation on life and death, art and thought. 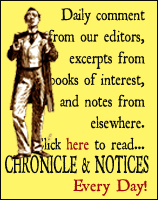 The writing demands the closest attention, yet is not gratuitously difficult. Bonnefoy’s fine-bladed axe, in Kafka’s image, cracks the frozen sea within us, forcing our slower minds to work harder than we are accustomed. d) Bonnefoy’s prose and poetry constitute a two-track adventure that has few equals since Baudelaire and Leopardi. The extraordinary energy and potency of the prose, “sa gravité enflammée” in the fine phrase of Philippe Jaccottet, is the result of a tension. This tension is, to simplify, between presence and concept: concepts, like number, are arrogant excarnations born of gnostic duality, denying presence, finitude, mortality and death. In one of Bonnefoy’s prose masterpieces, L’Arrière-pays (Stephen Romer’s fine English translation is at last available together with additional texts by the French poet), this tension is brought to its most extreme, in that it impinges on the poet’s own spiritual journey. Italy and its art generate a way of thinking about concept and presence: compare Borromini and Bernini, concludes YB, and find a kind of synthesis in Poussin and his search for the key to a “musique savante”. Conceptual thought always runs the risk of reductiveness to a single aspect (as in science and law), runs the risk of abstraction or idealisation of what Rimbaud calls “rough reality”, the risk of alienating the gaze, the risk of dogma and fetishisation. Poetry guards against this by mirroring these dangers in a perpetual agon, for only thus can presence make itself felt in plenitude. “Poetry is an unceasing battle between representation and presence”, Bonnefoy writes in a remarkable essay ‘Georges Poulet et la poésie’ (in La Communauté des critiques) where he confronts these issues and admits to having polemicised in earlier writings which had been misunderstood by some readers, including me. He also confronts the issues in an essay ‘Poetry and Truth’, originally written in English, which I lightly edited for publication in Modern Poetry in Translation. In this essay, Bonnefoy tells us that poetry, “which knows its own mendacity”, is “the memory of truth”, a place where hope is reawakened. Like Rilke in the Duino Elegies, he names and celebrates the fundamental things, the simple things, of our world. Like that of Wordsworth, “a man speaking to other men”, his poetry incarnates what it means to be a human being – one who thinks life, who thinks death, who thinks art, who thinks thought. “Contradiction is the fatality of the real”, Bonnefoy writes in Rimbaud par lui-même. I no longer think there is a contradiction between poetry and concept in Bonnefoy’s thought. e) Andréa Rafael writes in an email: “On shelves, books are so much closed energy — dead energy, if they’re unloved. Reference books have stored energy, ready for use”. Of none of my reference books is this more true than the two-volumed Dictionnaire de Mythologies edited by Yves Bonnefoy, which sits by my desk in permanence. 3) YB and Other Writers. a) Auden thinks, and YB tells me he agrees with him, that the “terrifying and pathetic” passages at end of My Heart Laid Bare, where Baudelaire abandons the dandy self and comes down to earth, reveals a more radical change of heart than Rimbaud’s, who merely became a different kind of dandy, demonstrating the same hubris and desire to be unique, the same lack of humility as before. Too late, but in all honesty, Baudelaire genuinely wants to be a better man and a better poet. Felix Arvers [left], an older contemporary of Baudelaire’s, was the author of many plays and one book of poems. He is remembered for a single sonnet, “L’amour caché”, an inferior variation on “When you are old and gray”, Yeats’ version of Ronsard. Who knows? Perhaps the mystery and secret of Arvers’ forgotten life deserves a glance? When I mentioned the poem on a visit to YB in rue Lepic, he immediately quoted some lines from it. b) I have a number of books by a haunting lyric poet Jean-Paul Guibbert, whom I translated and with whom I struck up a correspondence over a number of years after Bonnefoy drew my attention to his work. One of his books Haut lieu du coeur (aurally also “au lieu du cœur”) is illustrated by a member of Bonnefoy’s circle, my late friend Nasser Assar, a painter of mysterious and evocative landscapes. There is an earlier book with the same title but different text illustrated by Pierre Fournel. This is one of sixty copies with three original drypoints, which Paula found “very thirties”, not a pejorative comment. Here is Guibbert’s Le Second cercle, which contains two letters from 1965 addressed to me at my parents’ house, where I was still living, a year after graduating. In one of them, Guibbert tells me he likes Seferis, Char, Jouve and Jean Joubert. I fix my eyes on the two envelopes (“41 Middleway, London NW11”) and the souvenance of ancient days briefly works its magic. c) Miroslav Holub, an immunologist by profession, wrote wise and playful poems which made a huge impact on a generation of British readers and writers of poetry. His presence was as vital as that of Vasko Popa and Zbigniew Herbert. Reflecting glory, I once introduced myself to him as “Yves Bonnefoy’s translator” and he smiled, as Tàpies did not when, many years later, I played the same card at the opening of his museum in Barcelona. d) Marielle Macé, in her remarkable book-length essay on reading, Façons de lire, manières d’être, alludes to YB’s remarks about reading: how interruption is built into the process, and rightly so. Why do we like reading in trains? asks Macé. Because the view from the window is different each time we look up, miming the changes in the book we are reading. “The past is cities from a train”, writes Lowell. e) Bonnefoy’s introduction to Gaëtan Picon’s 1863: Naissance de la peinture moderne discusses Picon’s transition from art and literary criticism to personal creation (or realisation) as well as his reasons for focusing on Manet as the true begetter of modern art. In Poésie et photographie, YB alludes to Poe’s “great poem” whose “resonance can be explained in part, I’m convinced of this, by the transcription into words of the effect of photographic imagery”. If so, this may be the first example in literature. 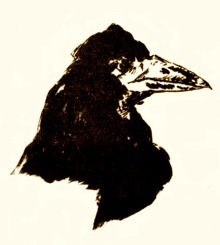 When I visited the painter Kitaj in his Los Angeles house, I saw his complete collection of Manet’s prints, including a signed original folio of “The Raven”. Some years later, I went to the British Museum Print Room to study the catalogue raisonné of the prints in order to check out the etching “states” of the two Baudelaire heads I own. This was a good opportunity to take a look at the folio of ‘Raven’ lithographs, the first livre d’artiste as we understand the term today. The Print Room copy is signed by Sir Sidney Colvin, once Keeper of Prints and Drawings; he must therefore have donated his copy, number 64, to the museum. I note that Mallarmé has signed it Stèphane Mallarmé, i.e. misspelling his own fore-name by using a grave accent. 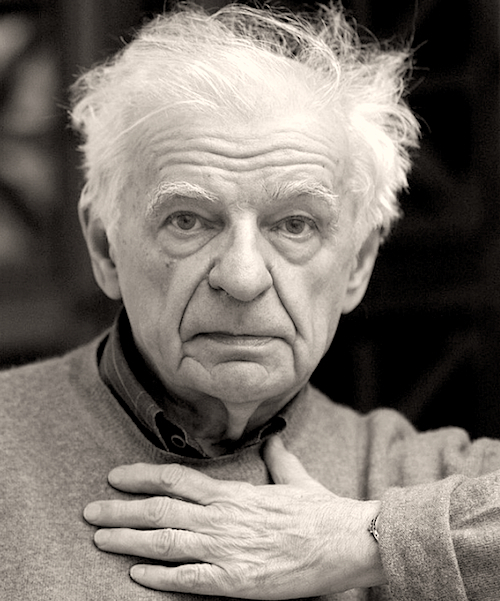 “Ce n’est pas grave”, I wrote in an email informing Yves Bonnefoy about the misspelling: common enough, he replied, when one is writing quickly and automatically. After his day job teaching English at the Lycée Condorcet, Mallarmé would regularly visit Manet in his studio. This most remarkable of the “painters of modern life” was a friend of Gautier and Zola (whose fictional works were more complex and inward than the theoretical naturalism he promulgated), but it was the close links with Baudelaire and Mallarmé that helped set the scene for the radical formalism of a very great painter, whose canvases are more “self-expressive” than any previous painter’s. Anthony Rudolf was born in London in 1942 and studied at Cambridge. He has two children and two grandchildren. His many publications include poetry (Zigzag 2010), autobiography (The Arithmetic of Memory, 1999), literary criticism (At an Uncertain Hour, on Primo Levi, 1990), art criticism (R. B. Kitaj catalogue, National Gallery, 2001), fiction (Kafka’s Doll, 2007), and translations of poetry, drama and fiction. He has edited two anthologies. An occasional broadcaster, he was visiting lecturer in Arts and Humanities at London Metropolitan University and Royal Literary Fund Fellow at the Universities of Hertfordshire and Westminster. He is Fellow of the Royal Society of Literature and the English Association as well as Chevalier de l’Ordre des Arts et des Lettres. Anthony Rudolf founded Menard Press in 1969 and ran it for forty years. 17 October 2013: A minor edit: Andréa Rafael, not Andrea Raphael. 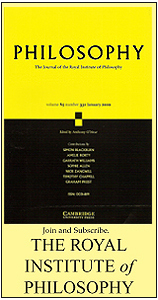 This Fortnightly Review article is filed under the following rubrics: Dossier: Yves Bonnefoy, Principal Articles. Publication: Thursday, 1 August 2013, at 11:08. Options: Archive for Anthony Rudolf. Bookmark the permalink. Follow comments here with the RSS feed. Post a comment or leave a trackback. ‹ Yves Bonnefoy dossier: Index.